Light pink roses are connected with gentleness and admiration, and can also be used as an expression of gratitude. This pink affection bouquet of 20 fresh hand picked pink roses are tied together with a pink ribbon and can be sent for any occasion. 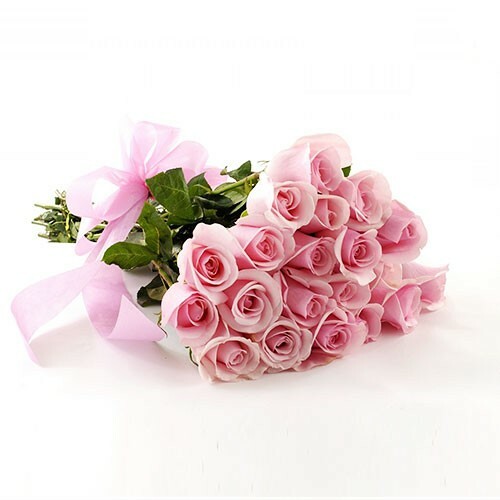 These pink roses could signify appreciation to someone, your love for a person, and even your deepest sympathy.